The present invention relates to magnetic resonance imaging using compressed sensing. 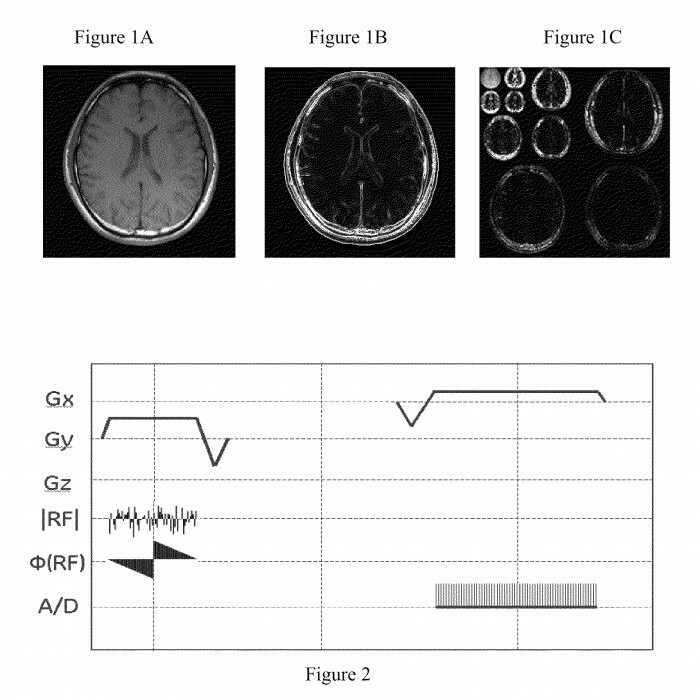 According to theory, magnetic resonance imaging (MRI) using compressed sensing can allow recovery of a sparse signal, or a signal that can be made sparse by transformations, from a highly incomplete set of samples, and thus has the potential for significant reduction in MRI scan time. 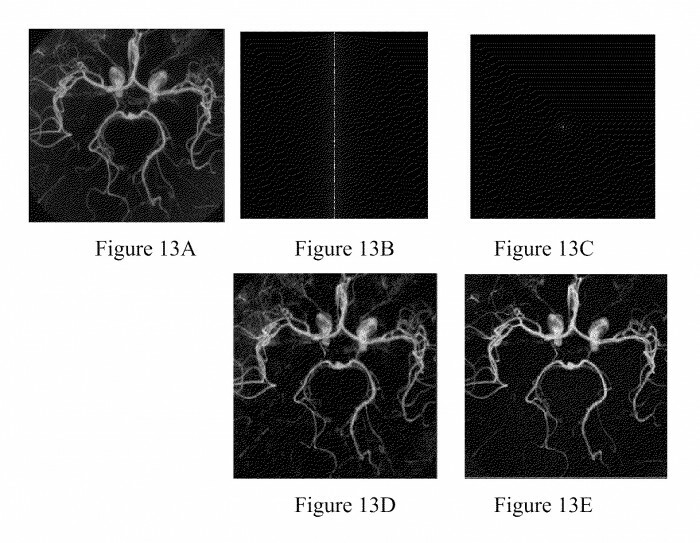 A method and a system for generating a magnetic resonance image of a subject. The method and system include generating a first pulse having first random data having a first amplitude and a first linear phase; applying the first pulse to the subject as an radio frequency pulse; collecting a first signal from the subject; generating a second pulse having second random data having a second amplitude and a second linear phase, wherein the second amplitude is substantially equal to the first amplitude, and wherein the second phase has a different slope from the first phase; applying the second pulse to the subject as an radio frequency pulse; collecting a second signal from the subject; and reconstructing an image of the subject. Looking to acquire licensing deal or sale of patent. 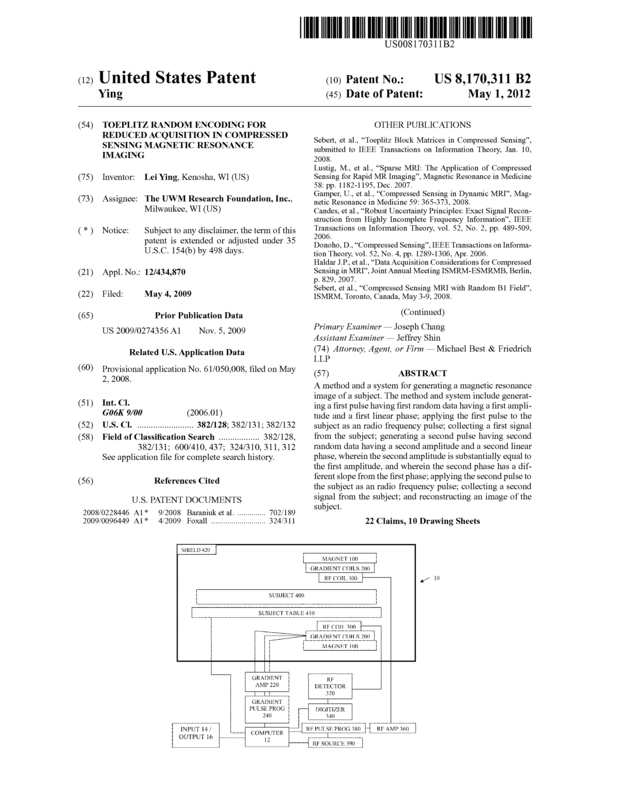 Page created at 2019-04-22 14:58:24, Patent Auction Time.